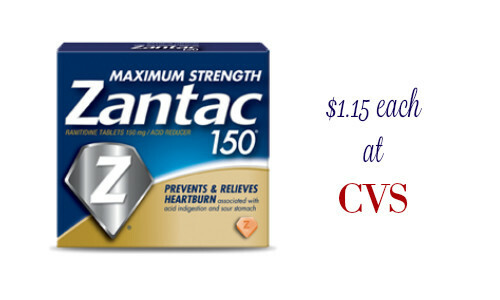 It’s time to stock up on Zantac thanks to a new high value Zantac coupon! Get $6 off any Zantac product 24 ct. or more. This coupon pairs in nicely with a deal a CVS this week where you can get $10 ECB when you spend $30 on Zantac. Like getting it for $1.15 each! I’m not near a printer right now, but this should be a manufacturer coupon and if it is, you can get Zantac at Target for 19¢.